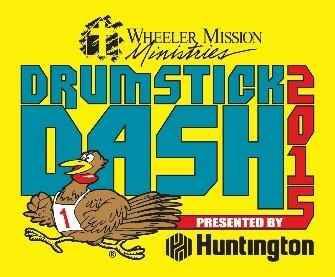 Before you sit down and eat your Thanksgiving feast, why not participate in the Drumstick Dash? You can really work up an appetite and help those who may not have the luxury of a delicious Thanksgiving meal. 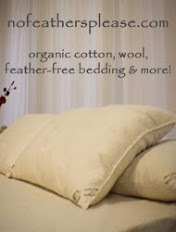 Wheeler Mission Ministries needs your help Indianapolis. Skip the Thanksgiving parade this year and join in something much more meaningful. You can bring your kids and show them what it means to really be thankful and the joy in helping others. INDIANAPOLIS – The Thirteenth Annual Wheeler Mission Drumstick Dash presented by Huntington Bank kicks off 9 a.m. Thanksgiving Day in Broad Ripple, with thousands of participants and volunteers raising awareness and funds for the homeless. In 12 years, the Drumstick Dash has become one of the fastest-growing charity run/walks in the country and the second largest in Indiana. Last year, 15,630 runners and walkers participated in this fundraising event for Wheeler Mission, and race organizers anticipate up to 17,000 runners/walkers and nearly 1,500 volunteers for 2015. Race organizers are gearing up for a record crowd this year. Steve Kerr, Wheeler's Chief Development Officer, said, "With the great weather predicted we think this could be our biggest year ever – which is a real blessing to us as all proceeds from the race benefit those experiencing homelessness in our community." Continuing in tradition, Drumstick Dash mascot Jerry Gobbler -- a 6-foot tall turkey -- will start the race about 60 seconds ahead of the pack, and the first man and woman to catch him will each win a trophy. New this year will be a live pre-race concert by local cover band Toy Factory and selfie stations along the course. As always, the Drumstick Dash will offer a 4.5-mile-long course, a 2¾-mile short course, and a free Lil' Gobbles run at 10:15 a.m. for kids age 10 and under. This year will once again feature a Celebrity Challenge, with nearly 20 local media celebrities competing for a turkey trophy to keep for one year.